Shame on the overly ambitious Rep. Linda Sanchez for insisting that Minority Leader Nancy Pelosi step aside and make room for new blood. Not surprisingly, by new blood Sanchez means herself. And Brava! Pelosi for ignoring the insolence and ingratitude of her sister Democrat who is blind to the constitutional crisis facing this country. Both houses of Congress are the needed to check this President–indeed any President–from the abuse of powers. Brava, too, for Sen. Diane Feinstein who is also ignoring calls to retire. While both of these San Francisco women are not “young,” they are seasoned, combative, and capable (as no newbie is) of defending their institutions—the Senate and House respectively. Pelosi, first elected in 1987, worked her way up to became the first woman Speaker of the House, thus attaining the highest rank of any female politician in U.S. history. She achieved this through patiently climbing the Democratic ranks, being a prodigious fundraiser, a deft legislative tactician and a relentless liberal. As of just this July, she has attended 124 fundraising events in 22 cities for a total haul of $25 million in a drive to retake the House in 2018. She has also helped shape an impressive history of great advances for women, blacks, Hispanics, and working people that these “young challengers” have since benefited from. Same with Feinstein. She values the Senate as an institution worth defending. What other state has two female elected senators? What other state has a huge, healthy Democratic majority? What other state provided Hillary Clinton with the biggest margin of victory over the Republican nominee of any state—thumping Trump by over 3 million votes—61.8 percent to 31.7 percent. Any wonder why California is in Trump’s crosshairs on everything from Medicaid reductions to elimination of mandatory free contraceptives for working women, bigger border walls, anti-Dreamer decisions and stricter enforcement of federal anti-marijuana laws (recently legalized in California). Not to mention the investigation into the Russian meddling in our elections. Here, Feinstein, whom CNN has labeled “one badass woman,” is uniquely positioned to make a difference. 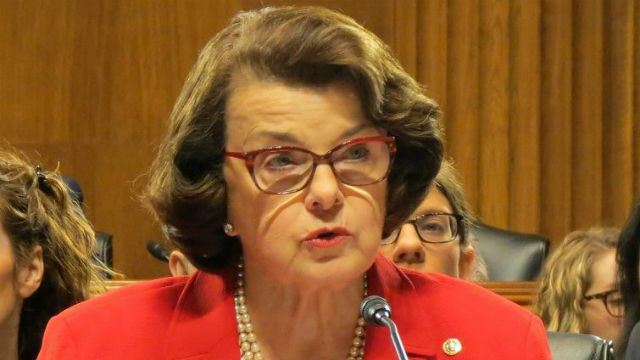 As a member of both the Senate Intelligence and Judiciary Committees, she is “at the center of the ongoing probe into Russia’s involvement in the 2016 election” and not shy about it. “I’m growing increasingly concerned that the President will attempt to fire not only Robert Mueller, the special counsel investigating possible obstruction of justice, but also Deputy Attorney General Rosenstein who appointed Mueller,” she explained. Hence, the need for both Pelosi and Feinstein. Now is not the time to retire California’s most seasoned and adept politicians. Better to wait until after the 2018 elections. If the Democrats take the House and don’t lose ground in the Senate, then change can occur on be safer ground. As of now, it is too dangerous for California’s well being and too dicey for the constitutional separation of powers to ditch two of the most experienced guardians of the House and Senate. Feinstein and Pelosi must stay.